Bangkok (AP) — Thailand’s anti-junta Pheu Thai party said Monday it will try to form a government despite losing the popular vote to a military-backed party in the first election since a 2014 coup, highlighting the nation’s deep political polarization. Separately, the Election Commission said it will announce the results of 350 constituency seats later Monday but full vote counts, which are needed to determine the allocation of 150 other seats in the House of Representatives, won’t be available until Friday. Pheu Thai leader Sudarat Keyurapha said it won the most constituency seats in Sunday’s election and will try to form a government with similar-minded parties. Unofficial results show the military-backed Palang Pracharat party won the popular vote, which along with the appointed Senate, puts junta leader and Prime Minister Prayuth Chan-ocha in a relatively strong position to stay in office and cobble together a coalition government. 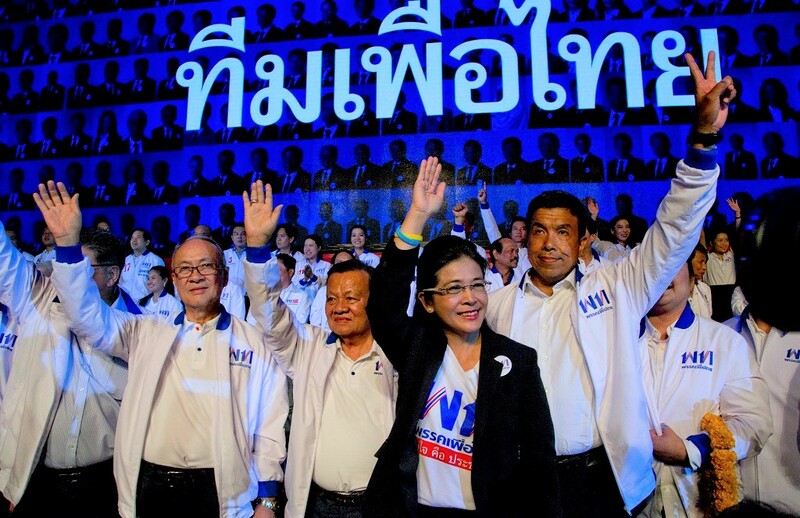 The election is the latest chapter in a nearly two-decade struggle pitching conservative forces including the military against the political machine of Thaksin Shinawatra, a tycoon who upended tradition-bound Thailand politics with a populist political revolution.